The mammoth fine of 270,000 euro was imposed to a man in Larissa who had slaughtered nine new-born puppies with a backhoe and buried them in a plastic bag under stones. 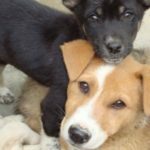 Going strictly by the Greek Animal Abuse book, police fined the murderer of defenceless souls with the maximum fine of €30,000 for each puppy, even though one of the puppies survived. The unprecedented for Greece fine was imposed by the Municipality Police and confirmed by the deputy mayor of Larissa in Central Greece. 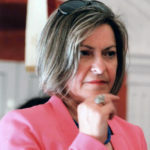 The incident occurred in Agia Marina village August 2013: a neighbour saw the 54 year old man slaughtering the puppies of his own dog with a backhoe and immediately informed the local “animal welfare society of volunteers” that helped her file a law suit. The perpetrator was arrested the following day after police and animal welfare volunteers located the puppies buried in a plastic bag under several stones. 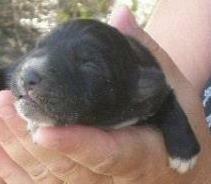 One of the fatally wounded puppies was still alive, managed to survive and was returned to the mother.